How To Make Use Of Jumper Cables For Starting A Car? Is your vehicle not starting due to a dead battery? Did you try turning on your vehicle’s engine repeatedly and found that it is making a click sound but its battery is not working? If yes, then a jumper cable can be a real savior for you! Jumper cables are electric cables that can be connected to two road or rail vehicles. * Firstly, you will need a car that has good batteries because it will be used for starting the car with dead batteries. * Ensure that the car with dead batteries has all electrical equipments turned off. * Next step is to connect the positive terminal of both batteries with the red jumper cable. * Then, connect one end of black jumper cable with negative terminal of car with good batteries. * Connect the other end of black jumper cable with negative terminal or a metal part of car with dead batteries. * Start the engine of the car that has good batteries. * Final step is to start the engine of the car with dead batteries. It should start instantly; if not, then wait for a minute and try starting it again. If this process does not work, then it denotes that there isn’t any problem with the battery of the dead car. You should check other electronics of the car. * You can either keep the battery of the working car inside or remove the batteries and keep it outside. * If you are keeping the battery inside then park both the cars close to each other. However, the cars should not touch one another. * The jumper cables should not touch any moving parts of the engine. * Once both engines of the car start working, keep them running for at least 3-4 minutes. * Before you disconnect the cables from the car, ensure that the heating of rear window is on because it will help in preventing high current jumps. * Always disconnect the jumper cables in reverse order to the way it was connected. * Ensure that you follow the entire procedure correctly otherwise there will be a big jump in voltage, which could be extremely dangerous as it can damage the electronics of your car. * With each jumper cable, you will receive an instruction booklet or card. Read the card carefully so that you connect them in the right way. * The last but not the least; always make use of the best jumper cables otherwise you may end up spoiling your car completely. 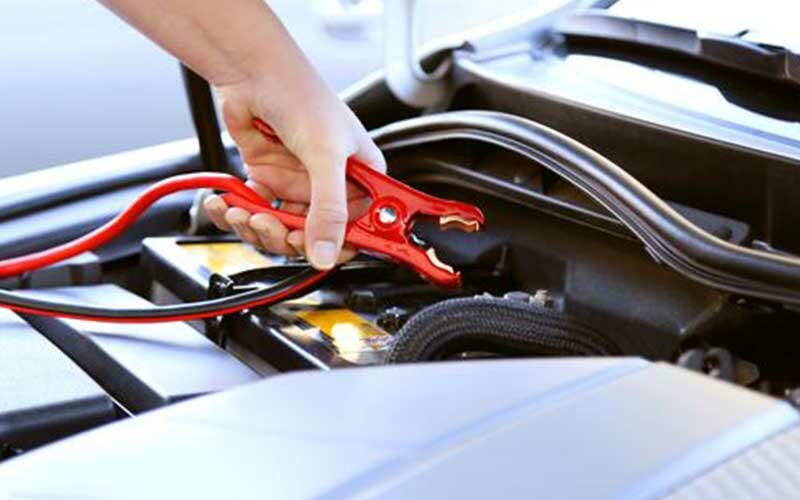 Thus, jumper cables are extremely useful and should be a part of your vehicle’s tool kit. Now that you have learnt to employ the jumper cables for starting your car with a dead battery, use it in the need of the hour!